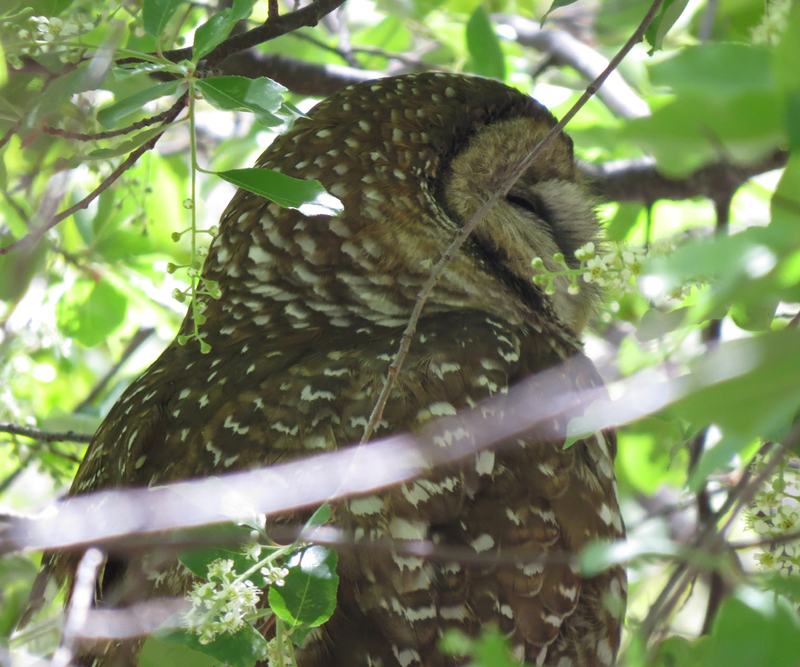 On my recent trip to Arizona, I had the pleasure of watching this Mexican Spotted Owl preening and snoozing near his nest cavity. Spotted Owl has been a nemesis species for me since moving to Oregon twelve years ago. The subspecies that breeds in Oregon, Northern Spotted Owl, has been in steady decline for decades, as its old-growth forest habitat continues to be harvested for lumber, and its close relatives, Barred Owls, continue to expand their range, eating or interbreeding with the Spotteds as they go. As a result, the locations of Northern Spotted Owls in Oregon tend to be kept secret, to protect the birds from unemployed lumberjacks with shotguns or overzealous birders. The culture surrounding Spotted Owls in Arizona is very different. Email lists describe the exact location of roosting owls, making it easy for birders from around the country, and around the world, to have a look. The habitat of the Mexican Spotted Owl is not as commercially valuable as the old-growth forests of the Pacific Northwest. The money brought in to southeast Arizona by visiting birders probably far exceeds the value of any timber harvest in this area. 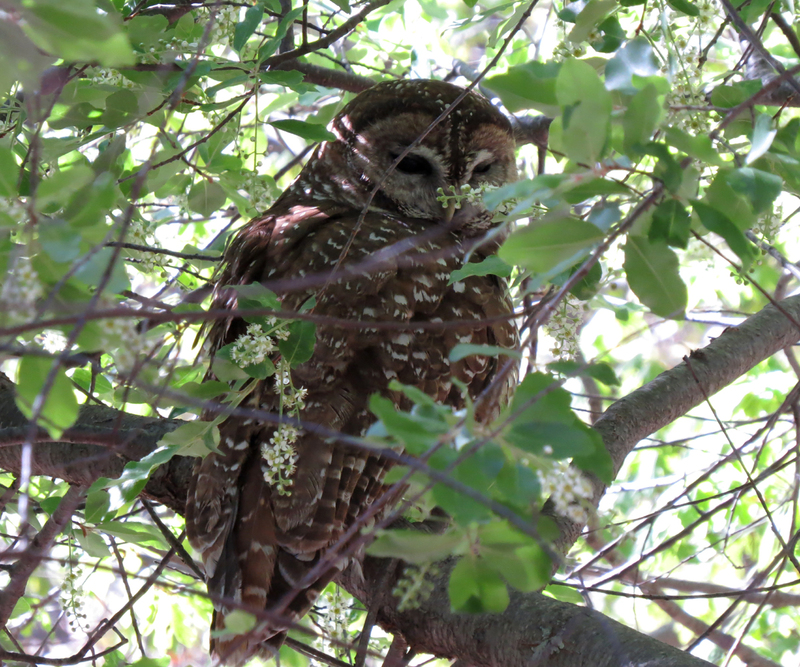 So the Mexican Spotted Owl, while still rare, seems to be doing OK while being admired by adoring throngs of birders. This entry was posted in beyond OR, conservation issues, species profile and tagged Spotted Owl. Bookmark the permalink.